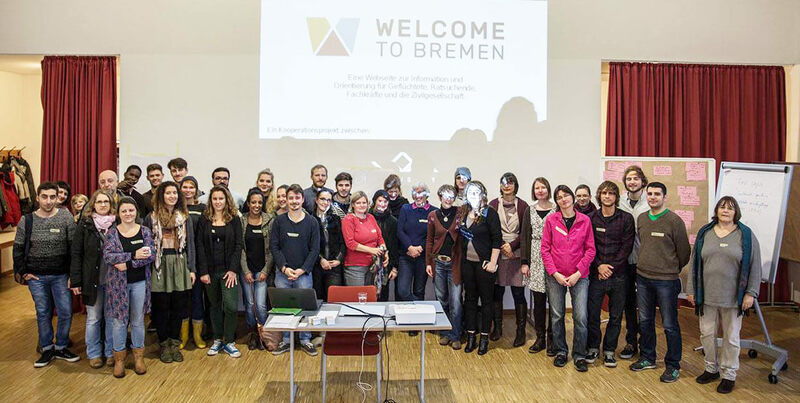 The website www.welcometobremen.de is about welcoming all refugees and migrants on behalf of the city of Bremen. Moreover, it sets out to provide its users with all the necessary information for arriving and living in Bremen. For this reason, the website has a simple layout and, over the course of 2017, it will be available in German, English and Arabic, as well as in French and Farsi. Through the use of internationally recognisable symbols and photos, the website will also provide key information, addresses and telephone numbers for people who do not speak the offered languages.